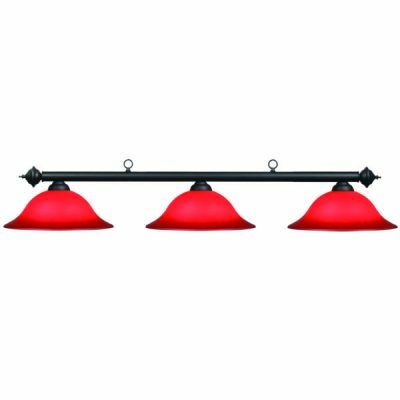 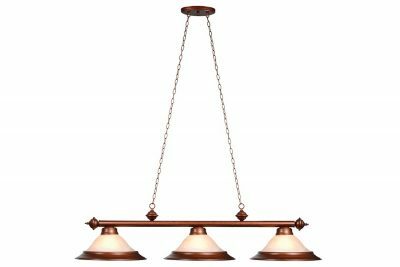 Build a true game room or entertainment space around the classic style of this 3-light metal billiards light fixture. 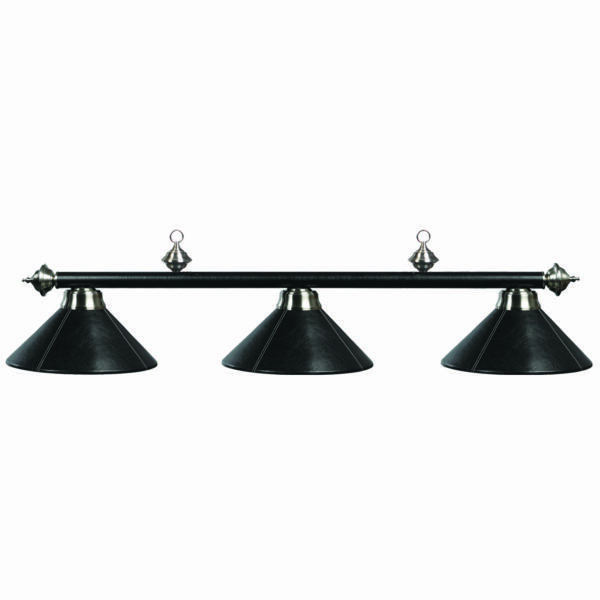 Delivering ample lighting to your pool table or bar, this fixture features three metal shades with a black finish. 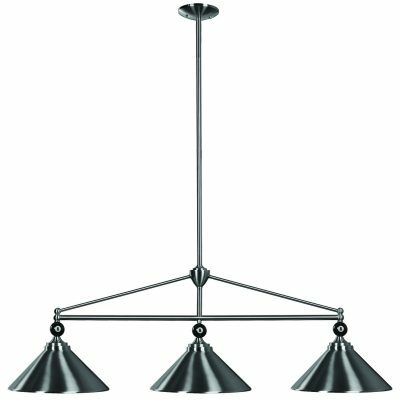 A metal pole connects the three lights and delivers stylish flair with stainless caps that add depth and dimensionality. 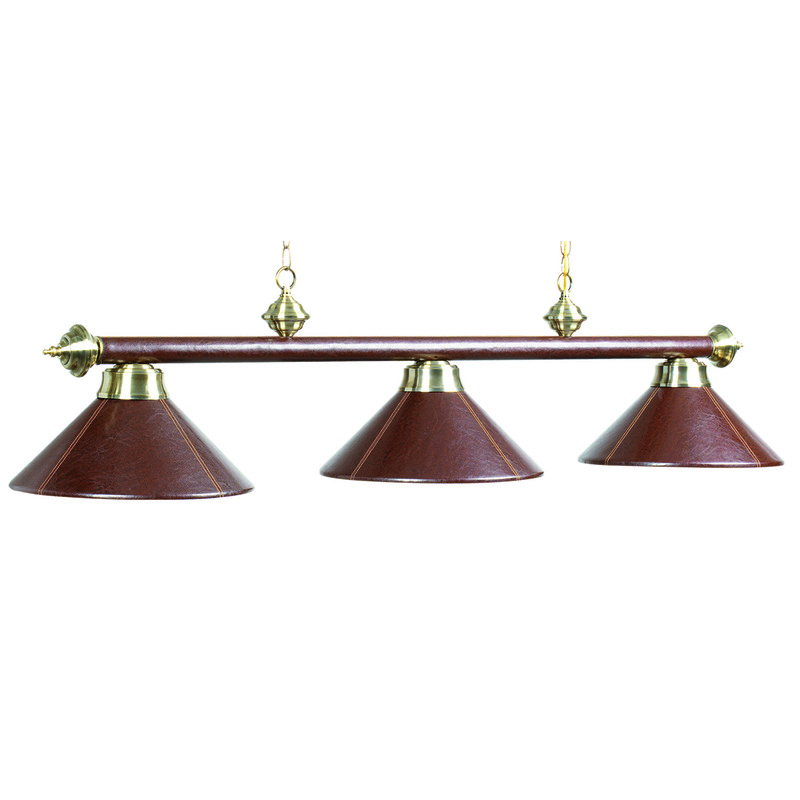 This lighting fixture suspends from a pair of chains.